Many parents have this belief because they think that baby teeth will fall out anyway, but healthy primary teeth serve several important purposes. They allow the child to eat and speak properly. They retain proper spacing of teeth. A healthy smile, no matter how old you are, instills confidence and positive self-esteem. Healthy baby teeth eliminate the pain of decay which disrupts normal daily activity. Saving natural teeth is always the very best option. Nothing can completely replace your natural tooth. An artificial tooth can sometimes cause you to avoid certain foods. Keeping your own teeth is important so that you can continue to enjoy the wide variety of foods necessary to maintain the proper nutrient balance in your diet. Root canals are a cost-effective way to treat teeth with damaged pulp and are usually less expensive than a tooth extraction and placement an implant. 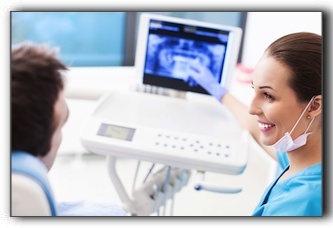 At Sundance Dental & Orthodontics, we provide accurate answers to all of your dental questions. If you are interested in dental implants, family dentistry, cosmetic dentistry, or general dentistry in Farmington, call us today to schedule an appointment.